Rigmar Group recently organised two events to raise money for their chosen charity, MS Society Scotland. 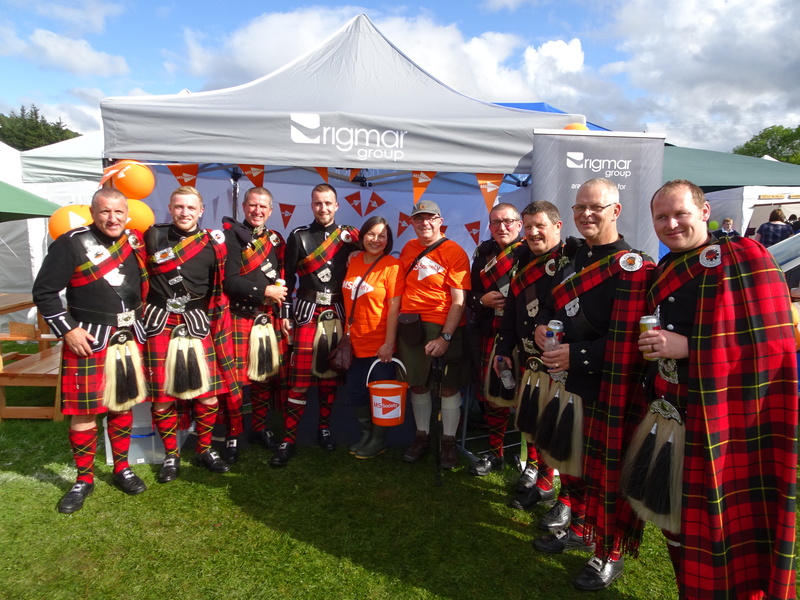 A raffle at Rigmar’s Annual Charity Golf Outing at Peterculter Golf Club earlier in August and a stand at the famous Lonach Highland Gathering in Strathdon raised a total of £1,352.34. Independently, Interocean’s Andrew Lemon, along with his friend Michael Clark, raised a further £2354.40 for the same charity at the Great Aberdeen Run. The MS Society’s mission is to enable everyone affected by MS to live life to their full potential and secure the care and support they need, until a cure is found. Rigmar is proud to be associated with the MS Society in Scotland.